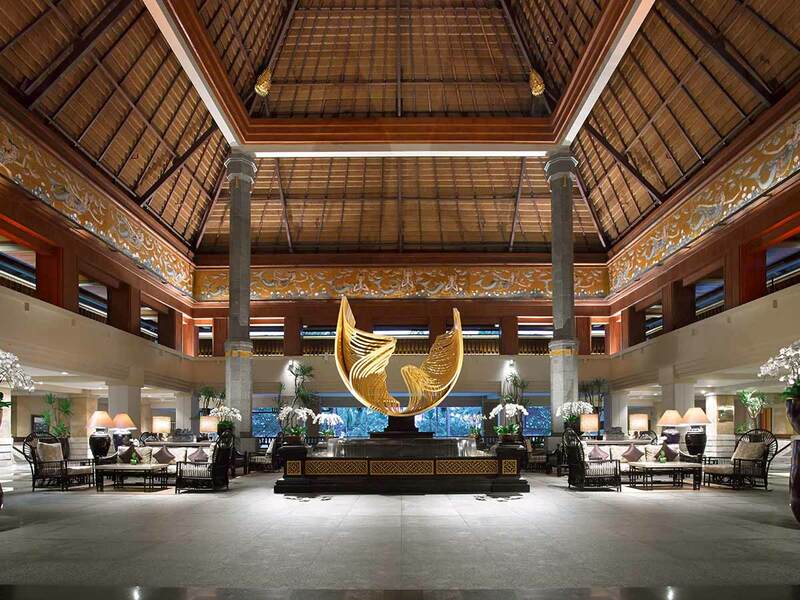 Relax in ultra luxury, comfort and style when you stay at the 5-Star InterContinental Bali this holiday. Spacious, and full of all the modern amenities you could want, your trip will be one to remember with a stay in a Jimbaran Deluxe Room. When you book with 7travel we will get you to and from Bali. Your return economy flights are included in your package with 7kg carry-on luggage. If you wish to include more luggage allowance one of our Holiday Experts will be able to help you out. Enjoy a buffet breakfast each morning. Start your day with a delicious meal consisting of locally sourced foods that will provide you with the fuel you need for a day full of activities and relaxing. Get pampered on us. 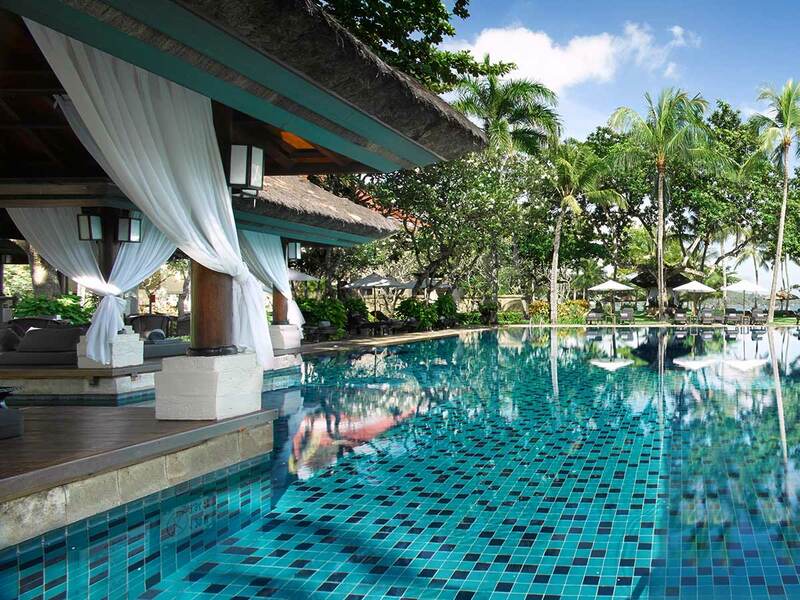 Rejuvenate your mind, body and soul when you visit Bali this holiday. Indulge with a 60-minute Balinese massage for two during your stay and feel your tension completely melt away. Feast on this. 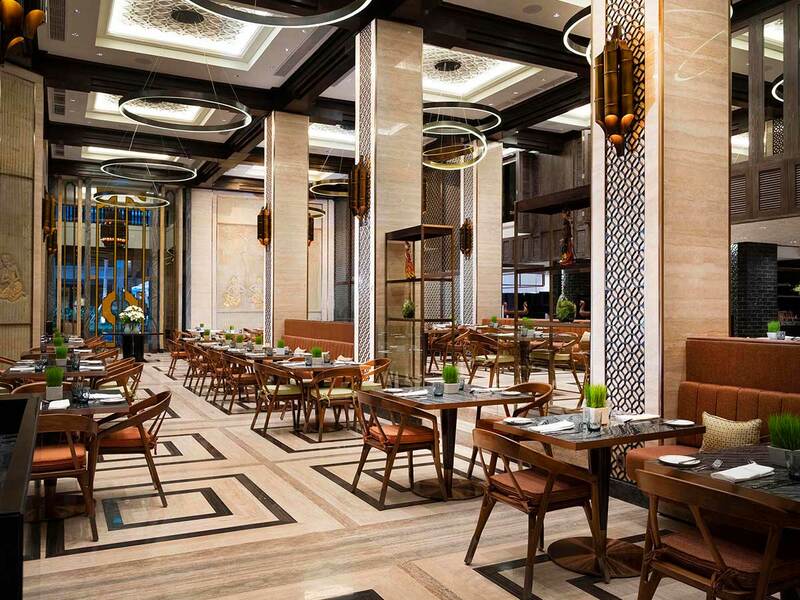 During your stay, enjoy a three-course dinner for two. 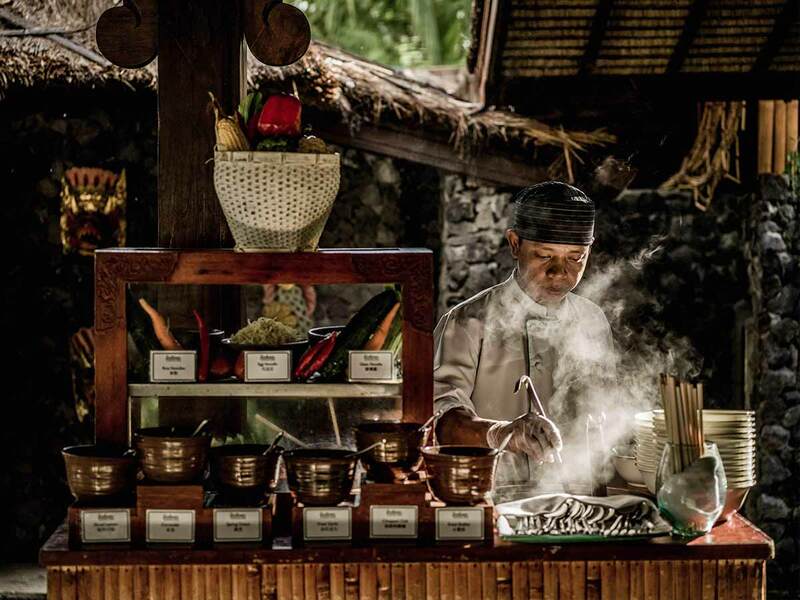 So sit back, relax and let the talented chefs at the InterContinental Bali Resort spoil you. After a long day sometimes all you need is a pick me up. When that happens, we’ll have your back. Enjoy afternoon tea by the beach on us. The last thing you want to do on your holiday is stress about how you’re going to get to and from the resort. Enjoy return transfers on us to start and end your holiday in the same way—at total ease, completely relaxed. 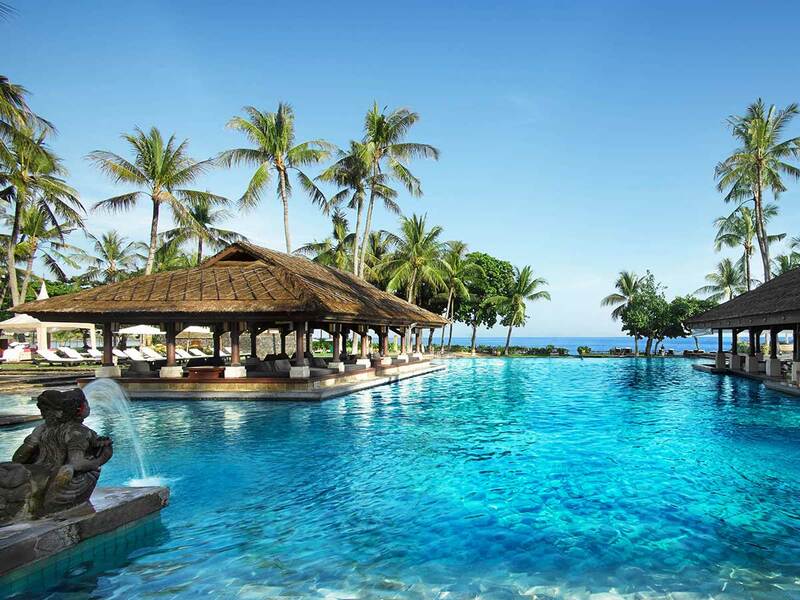 Indulge your senses in an authentic and tranquil Balinese experience at the 5-Star InterContinental Bali Resort. The luxury beachfront resort sits along lush tropical gardens, white sand beaches and overlooks stunning sunsets. 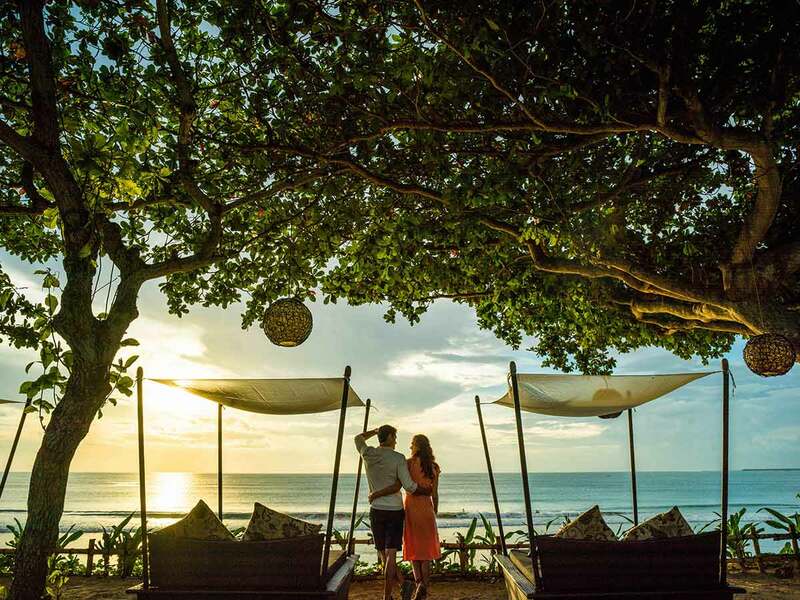 The InterContinental Bali caters to all guest and is the ideal destination for couples and families alike and cleverly merges modern conveniences with traditional Balinese architecture while boasting an array of world-class facilities. 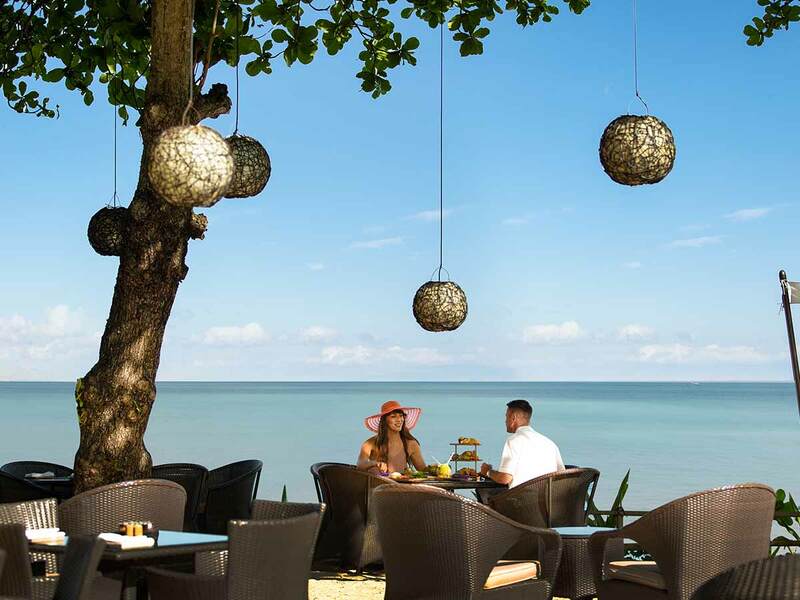 Situated on Jimbaran Bay and just a 10-minute drive away from the Ngurah Rai International Airport, the resort offers a myriad of island activities, beachfront restaurants and nearby attractions. Southern Bukit surf spots, Seminyak shopping centres and Ubud’s cultural attractions are just some of the destinations near the resort. 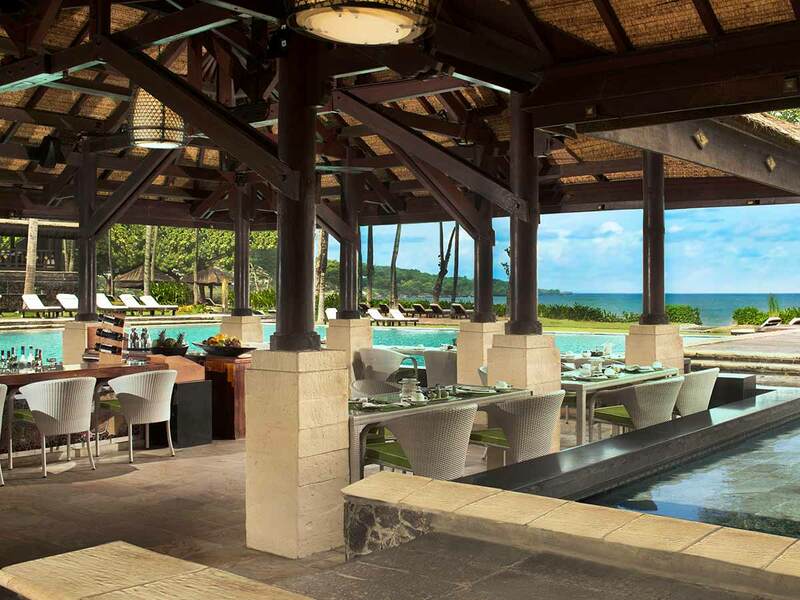 The InterContinental Bali offers the ultimate luxury experience for anyone. ^^ Single supplement charges may apply. Call 7travel on 1300 297 577 for more information.